Construction Material Testing – Martinez Associates, Inc.
Martinez Associates provides quality assurance and quality control testing services of construction materials that can significantly reduce uncertainties during the construction process. Our company has the efficiency and enthusiasm of a small, privately held business coupled with the highly seasoned experience of our senior staff. We are well-positioned to serve our clients as you meet the challenges of today and fulfill the opportunities of tomorrow. Project sizes have ranged from small projects up to $350,000,000 in construction costs. We can provided the full scope of services for the observation and testing of construction-related materials. Whether construction means and methods are achieving the project specifications. These services are intended to complement and assist the client’s management team throughout construction-related activities. In working for the contractor, our services assist the contractor in verifying to the owner that work is meeting the project specifications and will assist them in adjusting their means and methods to achieve the high quality of work they want for the project. Martinez Associates' staff works closely with the project engineer to provide these services in a quick and responsive manner and to customize our reporting formats to suit individual project needs. 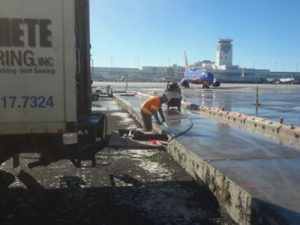 Martinez Associates provides quality assurance materials testing and site inspection services for various municipalities on their annual concrete replacements and asphalt overlay projects. Martinez Associates provides construction materials testing and inspection services that can significantly reduce uncertainties during the construction process. Our engineers work closely with design professionals and other project team members throughout the project’s duration. We provide a full scope of services for the inspection and testing of construction-related materials. These services are intended to complement and assist the client’s management team throughout construction-related activities. 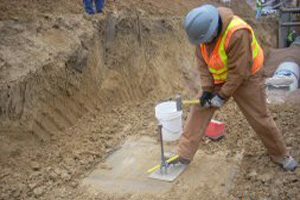 Field sampling and testing services are performed by knowledgeable individuals familiar with local soil conditions and construction materials standards and attributes. Martinez Associates has seasoned inspectors and technicians, who are also certified with CDOT in basic surveying training, highway math, plan reading training, state erosion control and state traffic control procedures, and inspector certification, basic math, basic plan reading, and basic surveying. Our firm continues to directly work for local agencies such as the cities of Denver, Golden, Boulder, Englewood, Elizabeth, and Littleton. With our past experience working for these municipalities, we are very familiar with the CDOT Standard Specifications for Road and Bridge Construction. We have recently worked with the City of Boulder in helping their specifications for asphalt pavement. We are also active members of CAPA and MGPEC. We are currently part of a task force helping to update and revise MGPEC’s specifications. We intend on working closely with your project managers to tailor our testing services to fit your level of comfort on each project.